Our expert pre-sales team will help you to to select the best products to solve your problem. 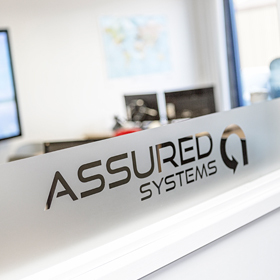 Our technical expertise means that we can build bespoke solutions designed just for you. Attention to detail and a focus on quality and testing mean that you can rely on our solutions. This is what sets Assured Systems apart from our peers. Our sales team has a wealth of experience in the industrial and embedded marketplace, and we consider ourselves consultants rather than typical account managers. We thoroughly understand our products, our customers, their markets and the applications in which our systems are being deployed. You can rely on our expertise to ensure you receive the right guidance and a precise fit for your requirements every time, saving you time, effort and ultimately money. All of our systems are built-to-order in-house at our facilities around the world. After careful pre-sales consultation, we configure hardware and software to exact requirements. Our services include hardware integration for systems, single board computer and LCD display configuration, and operating system installation and support. We also offer content testing for digital signage platforms and a full burn-in facility to ensure the stability of all our systems before they are shipped. 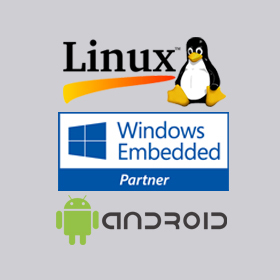 Assured Systems is a Microsoft Embedded Partner and we have access to the entire range of Microsoft Embedded development tools. This allows us to create custom operating system images in-house. Our engineers are Microsoft trained and qualified to build images for Windows 7 Embedded, Windows 8 Embedded and Windows 10 IoT Embedded product families. We also have extensive experience in Linux and Android platforms, an area which is increasing popular with our current client base. All of our repeat production orders are built using our Build Specification Process (BSP). This manufacturing system records all the versions of the BOM and build process in a 'live' document referred back to each time we build a system for you. This includes both hardware, software and BIOS which ensures you receive identical solutions each time you order. We also offer our clients a serialization and traceability service. 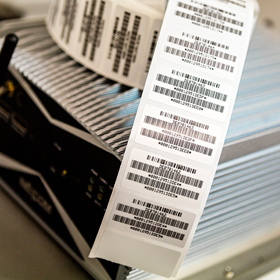 Using our in-house thermal printers we are able to record and display vital information such as IP addresses, MAC addresses, serial numbers and dates on the exterior of each unit, making it easy to identify the credentials of your network. Our custom branding service allows our clients to brand systems with their own identity. This facility is very popular with clients who bundle software and hardware to create a finished solution which they then sell on as a complete package of their own. Whether you require branding on the exterior of your solution, a custom splash screen or operating system skin, we can assist. This enables our clients to maintain a transparent marketing strategy across their product range.